The Power Sector Carbon Index provides an estimate of the carbon dioxide (CO2) intensity of the U.S. power sector using publicly available data sources. Carbon intensity is measured in pounds of CO2 per Megawatt-hour (MWh) of electricity. 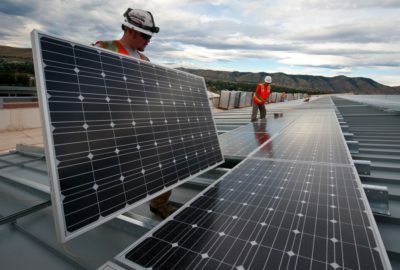 The index was created by researchers in Carnegie Mellon University’s Scott Institute for Energy Innovation, with support from Mitsubishi Hitachi Power Systems. 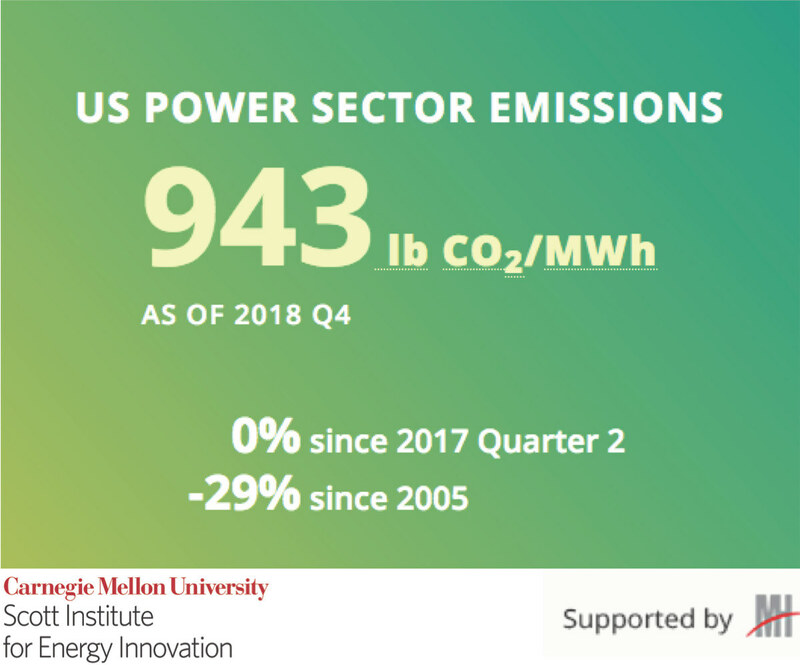 To track the progress on reducing the emissions intensity of electricity, our interdisciplinary research team at Carnegie Mellon University’s Scott Institute for Energy Innovation launched the Power Sector Carbon Index. The index uses publicly accessible data to create an easily understood, analytically transparent, and timely summary of the current trends in U.S. power sector CO2 emissions intensity and electricity generation. The Power Sector Carbon Index of the U.S. power sector is the ratio between the direct emissions generated from all electricity generation sources from the U.S. electricity sector in a given time period, and the total net electricity generation in that time period. The index is computed for yearly, quarterly and monthly time periods. Index values are given in pounds (lb) or kilogram (kg) of CO2 per megawatt-hour (MWh), representing the CO2 emissions intensity of electricity in a specific time period. Since 2005 is often used as a benchmark year for measuring progress made in reducing emissions, the index also provides the percentage change between the current value and the annual value in 2005. Additional details and a report outlining the methods and data are available at the link below.